The tale incorporates many literary features characteristic of the ancient Hellenistic novel, but differs markedly from its Greek predecessors: its narrative is presented in condensed fashion, its description of characters and events is straightforwardly functional, and the style of its Latin simple. 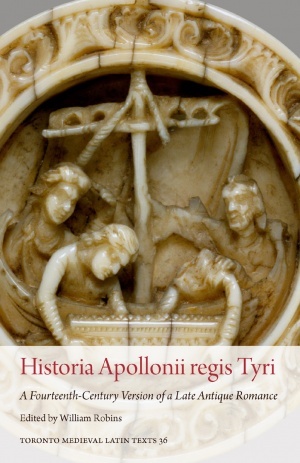 While these features make the Historia Apollonii an oddity among the ancient novels, they contributed to the appeal the story held for later readers and writers in medieval Europe. This edition provides a text of the Latin Historia Apollonii as a reader from the later Middle Ages might have encountered it, from a manuscript written in Italy in the middle of the fourteenth century.